Gloria Hartwig, 87, of Mason City, died on Monday, February 4, 2019, at Good Shepherd Health Center. A funeral service will be held at 10:30 AM on Tuesday, February 12, 2019, at Trinity Lutheran Church, 213 N Pennsylvania Ave, with Pastor Kathy Graves officiating. Visitation will be from 4:00 PM to 6:00 PM on Monday, February 11, 2019, at Major Erickson Funeral Home, 111 N Pennsylvania Ave.
Burial will be held in Park Cemetery in Nora Springs. Memorials can be made out to Hospice of North Iowa. Gloria Ellen Hartwig was born June 3, 1931, in Hampton, Iowa, the daughter of Murville A. Jost and Faith Irene (Graham) Jost. She attended school in Hampton through the 3rd grade. She moved with her family to Mason City and graduated from Mason City High School in 1949. She worked with the high school program On the Job program, at Bowen’s Construction Co., and was cahier at the Palace Theater in Mason City. Gloria was united in marriage to H. DeVere Hartwig of Nora Springs, IA., in August 19, 1949, at the First Christian Church in Mason City. She was baptized and became a member of St. Luke Lutheran Church, Nora Springs, February 19, 1950. The Hartwig’s farmed together for 40 years, retiring in February, 1989, and moving to Mason City. Before marriage to H. DeVere, Gloria had never been on a farm but grew to truly love it. Driving into Mason City to pick up parts for DeVere during the planting and harvest season, preparing meals for farm workers, taking care of her three children and husband who she dearly loved, and playing with the family German Shepherd “Rommel” were all part of her living on the farm. Gloria was a member of St. Luke Lutheran Church bible study, taught Sunday school for several years, was president of the St. Luke’s ALCW., Co-chairman of the boy scouts and 4-H, president of the N.S.R.F. school parent-teacher organization, served on the Floyd Co. Extension council and was chairman of the Rock Grove Township Cancer and Red Cross drive. She was a member of the Ladies’s Crescent club and was awarded a certificate of recognition for reading and reporting on 25 books “Adventures in Reading Literature Division”, and won a Vogue sewing contest in the club. Gloria was also known for being a great bowler! Her favorite times were with her family at Thanksgiving, cooking a wonderful meal, and spending loving time with family. They enjoyed boating and skiing at St. Ansgar and Clear Lake, traveling to Hawaii, Europe and Canada, and spent may winters at their home in Arizona where they loved visits from their kids to escape the harsh Iowa winters. She also enjoyed her class breakfasts each month with her 1949 classmates. Gloria’s favorite pastime was reading books. Gloria is survived by her son, Dennis C. Hartwig and wife, Linda, of Mason city, daughter, Debra C. Tozier, Mason City; son Daryl D. Hartwig and fiancé Renee Balvanz, Cedar Falls, Iowa; three grandchildren, Angela Bublitz, Hollie Toppin and Christopher Madigan, nine great-grandchildren; sisters-in-law, Ruth (Ron.) Jost; Charlotte (Roland) Jost, and many nieces and nephews. She was preceded in death by her beloved parents, Murville and Faith Jost, husband H. DeVere, four brothers, Don, Ronald, Roland, and Roger, granddaughter Amber Hartwig, great great grandson Bryton Thompson, sister-in-law, Virgene (Lindsay) Druschel, niece Edie Boehm. She will be lovingly missed by her family. To send flowers or a remembrance gift to the family of Gloria Ellen Hartwig, please visit our Tribute Store. 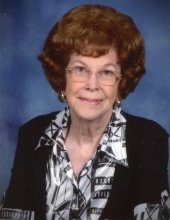 "Email Address" would like to share the life celebration of Gloria Ellen Hartwig. Click on the "link" to go to share a favorite memory or leave a condolence message for the family.